On our trip to Portland, Oregon, the hubby and I only had one day together to visit around the city. I did some exploring on my own while he was on his retreat but our time together was limited. 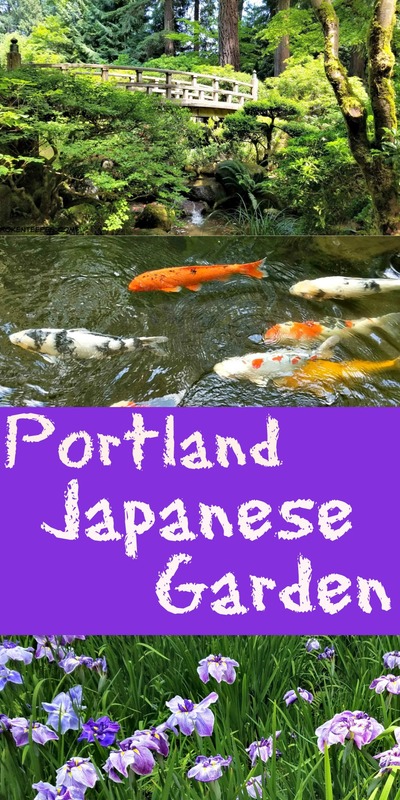 I shared our visit to the Portland Rose Garden and today I bring you the peaceful and beautiful Portland Japanese Garden. 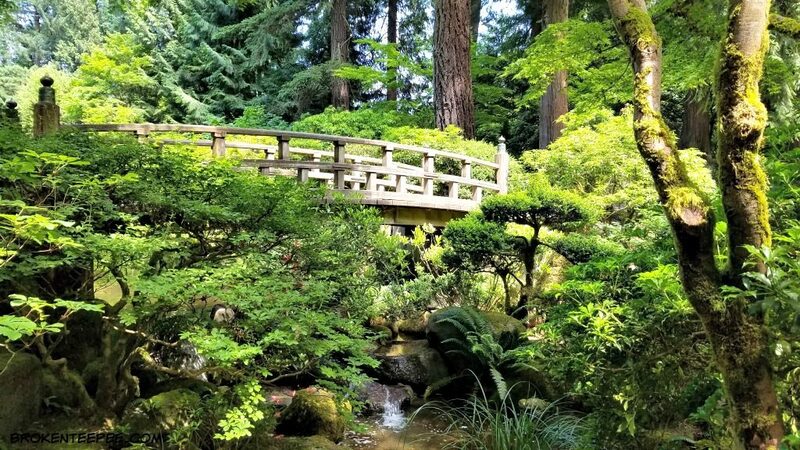 Our friends in Portland suggested we visit the Japanese Garden (as well as the Rose Garden) and we are very glad we did. We were not alone in our desire to see this haven of cool greenery. There were a lot of folk looking to escape the heat of the day by walking in the shade of the trees along the creeks and waterfalls. The garden sits on a little over 9 acres in the Washington Park area of Portland and it was opened in 1967. Dedication and design of the garden began in 1963. April of 2017 brought a large expansion to the garden. 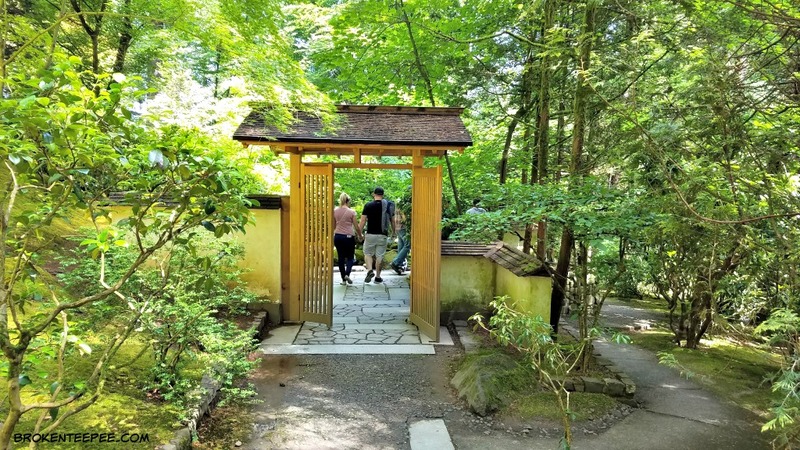 There are eight different garden spaces to enjoy when you visit the Japanese garden; the Strolling Pond Garden, the Sand and Stone Garden, the Natural Garden, the Tea Garden, the Flat Garden, the Entry Garden, the Ellie M. Hill Bonsai Terrace and the Tsubo-Niwa which is a modern Japanese garden style. You can read more about these different gardens HERE. I will be honest, I was so enthralled with the space that I did not pay any attention at all to the guide we were given at the entrance. I just walked around in awe. After you pay the entrance fee (Adult: $14.95, Senior (65+): $12.95, Student: $11.95, Youth (6-17): $10.45, Child 5 and under- Free) there is a short walk uphill to the gardens. 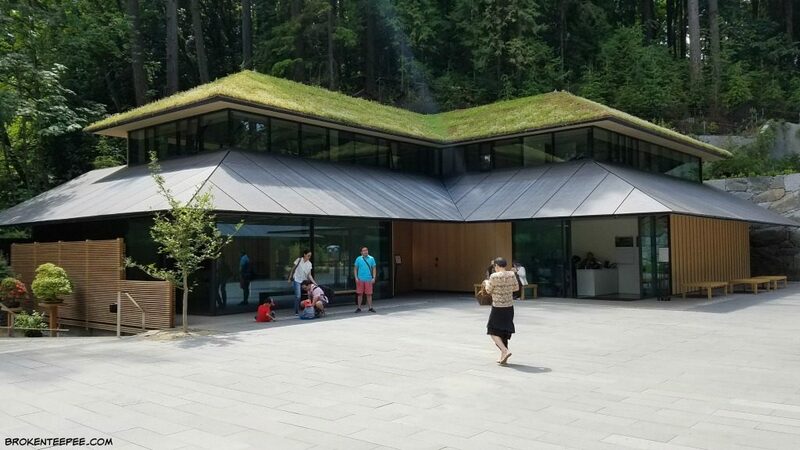 I loved that the buildings housing the restaurant, art gallery and museum store all had living roofs. I realize I wrote that same phrase for the visit to the Portland Rose Garden but it is also true for this space as well. This is a more green and verdant garden than the rose garden but it is just as lovely. There are not as many flowers but there were azaleas and iris in certain areas in abundance. One of my favorite spots was the large koi pond. It was full of large koi who were happily swimming around. They were all different color and their scales were shimmering in the sun. I could have stayed for hours just watching them. I’d also never seen koi that big before! Be aware that there are improvements being made to the Washington Park Reservoir and it is severely impacting the amount of parking available for both the Japanese Garden and the Rose Garden. (read more here) Our visit was on a Monday in the early afternoon in late June and we probably drove around for half an hour to forty five minutes before we lucked upon a parking space. This project is in play for a while longer so the parking problems will be there until it is over. The link I’ve given above offers some public transportation and shuttle options to make things easier. Parking issues aside, these two gardens are worth the trouble for the beauty they offer. Check out the video below for a greater overview of our visit.